New York, NY (December 5, 2018): 550 Madison ownership – led by The Olayan Group with development partners RXR Realty and Chelsfield – today announced a new design for the landmark commercial destination, reinforcing their commitment to a preservation-driven rehabilitation of the celebrated office tower. Following the NYC Landmarks Preservation Commission’s designation of 550 Madison as an Individual Landmark in July, the ownership team has worked with architect and landscape architect Snøhetta to preserve the iconic tower while providing modern upgrades and revitalizing the surrounding public space. The updated design retains 550 Madison’s distinguishing architectural features, creates an iconic Class A office destination for future tenants, and realizes the high level of public amenities for the East Midtown neighborhood that is consistent with Johnson and Burgee’s original vision for 550 Madison’s public open space. Snøhetta’s design for the rear of the building (west side) would provide the community with a vibrant green space that will be 50% larger than the current public space. All exterior-related work for the building is subject to review and approval by the Landmarks Preservation Commission through their Certificate of Appropriateness process, which has just begun. 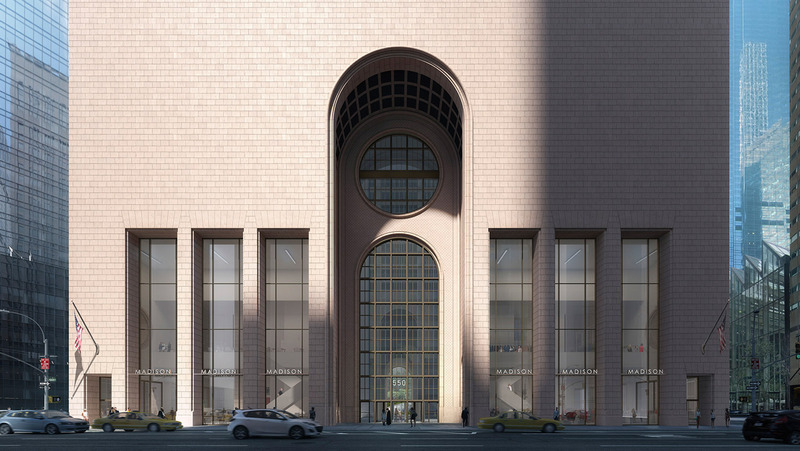 Snøhetta’s updated design will preserve and revitalize the landmark tower, undo past renovations that compromised the original design intent, and reconceive 550 Madison’s public spaces. The tower’s exterior will remain 94% unchanged. 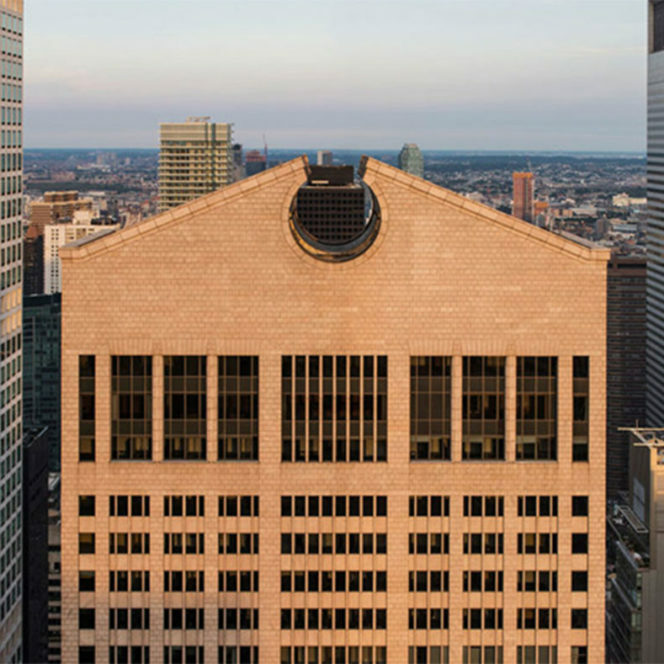 Additionally, some architectural features of 550 Madison’s original 1984 design which had been altered by prior ownership, including portal holes that had been covered over multiple renovations of the rear of the building, will be restored. Further returning the building’s façade to the spirit of Johnson and Burgee’s original design, new clear storefront windows will allow people to see through the ground-floor retail and to read the full volume of the dramatic piers at the building’s base, which for many years have been closed off and obscured due to earlier retail alterations. 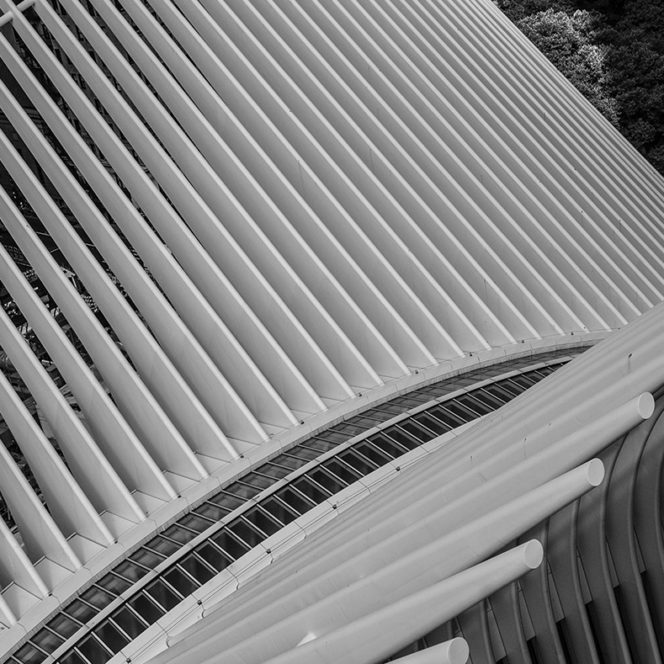 A reimagined public open space will finally deliver on the true public amenity that Philip Johnson envisioned. The East Midtown community sits last among Manhattan community districts with regards to the amount of public open space it offers. 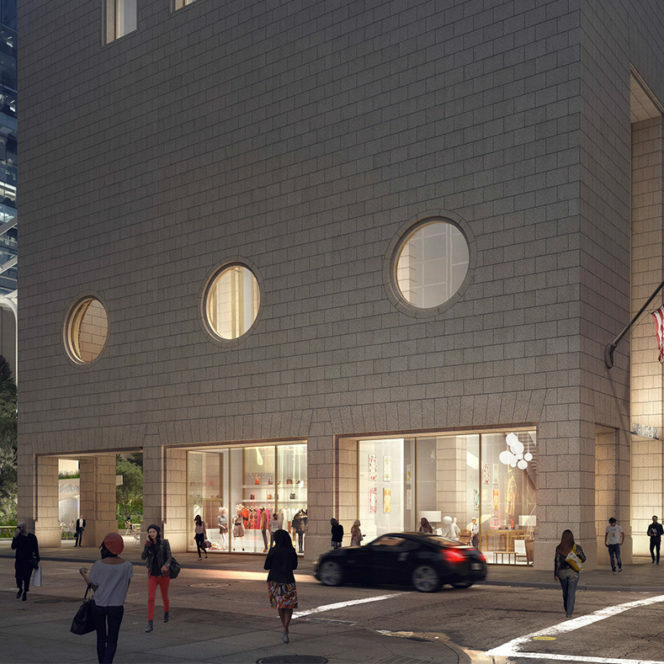 Through Snøhetta’s design, the renovated public open space at 550 Madison will increase by 50%, creating a visual and sensory retreat in the heart of East Midtown. The upper portions of the existing four-story annex, the altered glass roof, and side street enclosures that were added during the 1990s will be removed, creating an expansive, open and inviting public garden. Protected by a new canopy inspired by Johnson’s design vocabulary, the open space will include 42 new trees, eight bike racks, and seven public restrooms. It will expand the seating available to accommodate more than 260 people. This will become the largest privately-owned covered pedestrian space within a five-minute walk of the building. 550 Madison is an exceptionally well-built structure with many highly desirable features: 14-foot high ceilings; large, column-free floor plates; north, south, east, and west-facing views of New York City; river to river sightlines; and offices overlooking Central Park. With thoughtful interior modifications and infrastructure upgrades led by the construction and engineering team, the building will be in a position to accommodate a variety of modern office and retail tenants with high-quality amenities, bringing significant public benefits to East Midtown consistent with the goals of the City’s recent East Midtown rezoning. Infrastructure upgrades will also make the building a model of sustainable design, targeting LEED Platinum, Wired, and WELL certifications. Sustainable and healthy building materials will be sourced throughout the building. The upgrades will achieve a minimum 30% reduction in water use and an energy usage target 10% below current New York City energy code. The Olayan Group owns 550 Madison, which was acquired in 2016. They are working with development partners RXR Realty and Chelsfield. The three firms have deep experience preserving and modernizing historic and landmark buildings in the US and internationally, including these properties in New York City: the iconic Helmsley Building, 75 Rockefeller Plaza, Pier 57, the former Westbury Hotel, 387 West Broadway, and the Starrett-Lehigh Building. 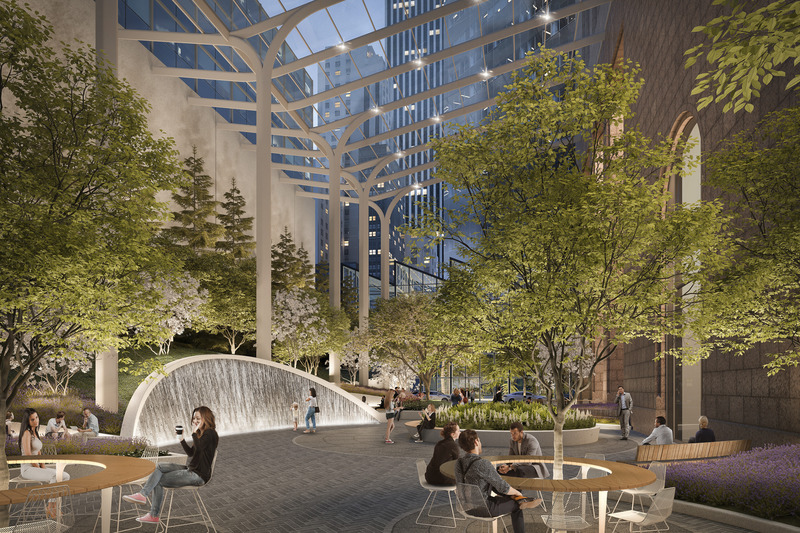 In November 2018, 550 Madison ownership announced that AECOM Tishman, a leading international construction firm headquartered in New York City, was selected as Construction Manager for the revitalization of 550 Madison. CBRE is the exclusive leasing agent for the building.